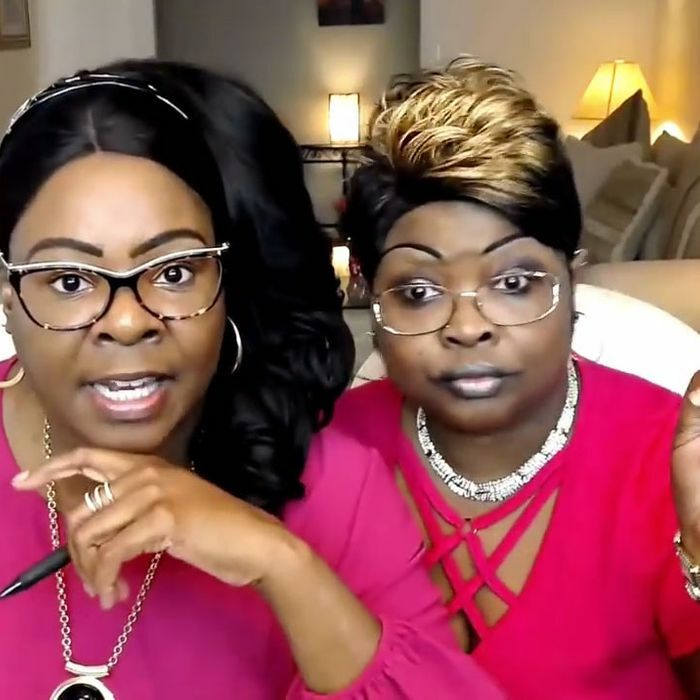 Popular pro-Trump YouTubers Diamond and Silk reignited conservatives’ claims of censorship after they were removed from Facebook. Since social media took over the world, prominent conservative politicians and media icons have cried foul at what they see as a malignant, unfair liberal bias across the tech industry — one that results in what they claim (with little evidence) to be the suppression of conservative content on Facebook, Twitter, and in Google search results. While once a narrow view confined to hyperpartisan extremes, this narrative has become the new normal. The deplatforming sparked mass outrage from the right, leading prominent senators like Ted Cruz to accuse Facebook of a systematic pattern of bias. “The pattern of political censorship we are seeing across the technology companies is highly concerning,” Cruz said in a statement in January. Others, like prominent conservative public figure Ben Shapiro, argue that the high proportion of liberals employed in tech leads to algorithmic bias. Just one senator needs to ask Zuckerberg what makes his platform a platform rather than a publisher, given the amount of censorship in which Facebook is currently engaged. Major tech companies are listening. Just this week, Twitter and Facebook representatives met with conservative lawmakers to discuss these perceived issues. Mark Zuckerberg also made similar conciliatory gestures following his many Senate hearings. The problem is that it’s hard to square the claims of suppression or censorship with the actual state of social media. Despite the innumerable issues with social media as a disseminator of news, it’s unclear if the medium’s negatives really do stymie conservatives. According to research by NewsWhip, conservative publishers outnumbered liberals on Facebook by a margin of three to one in 2017. Similarly, this February they found that the top ten reporters with the highest engagement rates on Facebook were all nonmainstream conservatives. Even President Trump himself has said verbatim that he thought Facebook and Twitter “helped him win,” the 2016 election. Americans in general really distrust the information they consume. 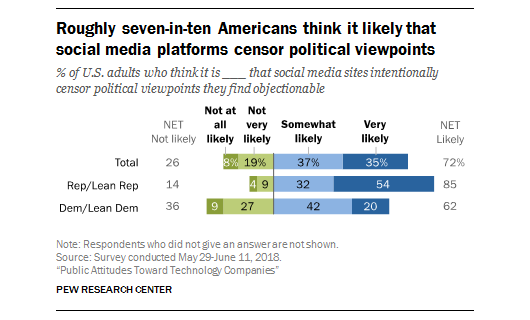 Another Pew poll released last year showed that only 3 percent of Republicans and 6 percent of Democrats said that they trust the information they see on social media. Similarly, only 11 percent of Republicans and 34 percent of Democrats said they trust national media outlets.